Fill a saucepan with water. Add onion chunks, garlic cloves, 2 tablespoons salt and black pepper. Bring to a boil. Add shrimp, turn off heat and let sit 1 minute or until shrimp are pink and cooked through. Drain and let shrimp cool. Discard onion and garlic. 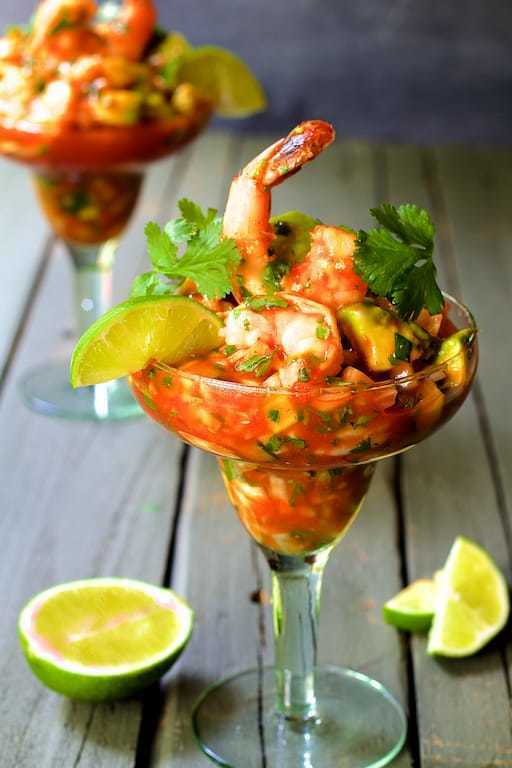 In another bowl, combine cooled shrimp, diced onion, jicama, cucumber, avocado and cilantro.